Amour Natural Organic Moroccan Argan oil. Useful for ageing and damaged skin. Ideal for hair. Naturally deodorised. Argan oil is a precious and relatively rare oil that comes from the nuts of the Argan trees that grow in some parts of Morocco. The nuts are picked by hand, shelled and then cold-pressed. The oil is then bottled in batches and kept at a cool temperature. This is a production process that maintains the integrity of the ingredients and keeps the oil fresh and unspoilt. Argan oil one of the most popular oils today because of its remarkable ability to moisturise the skin and improve elasticity, which is what’s given the oil its reputation for promoting youthfulness and preventing premature aging. 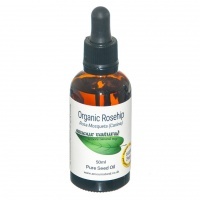 The oil is rich in omega 9, oleic acid and omega 6. It is anti-inflammatory and reduces redness and swelling. 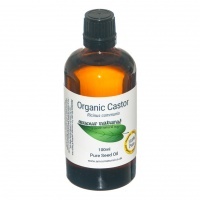 It also has a high polyphenol content which is a powerful antioxidant, so it protects the skin and reduces damage, whilst also protecting the oil from rancidity. 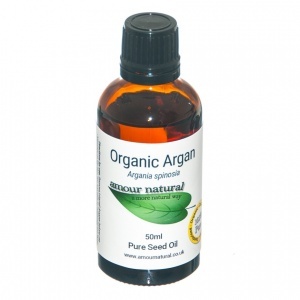 Argan oil is great for the nails and hair too and can be added to body moisturisers and conditioning treatments. Ingredients: 100% pure organic Moroccan argan oil. Naturally deodorised.